On Friday, November 1st from 11:10am to 1:00pm, Howard University's Department of Theatre Arts presents, I Is and Sometimes I Ain’t, a theatre symposium in conjunction with the production of Fabulation by Lynn Nottage. The symposium will serve as a springboard to explore issues of racial identity and social posturing and provides opportunity to interrogate the Lynn Nottage corpus. Organized by Otis Ramsey-Zöe (Howard University, Department of Theatre Arts) with additional curatorial support from Howard University student Kia Griffith. Panelists include Faedra Chatard Carpenter (University of Maryland, School of Theatre, Dance and Performance Studies), Juone Darko (Howard University, Department of African Studies), Jacqueline E. Lawton (Playwright), Jocelyn Prince (Woolly Mammoth Theatre Company, Connectivity Director), Sandra G. Shannon, (Howard University, Department of English), and Howard University student presenters Tevin Giddens and Nicole Thomas. For more information call (202) 806-7050. FAEDRA CHATARD CARPENTER is a freelance dramaturg and an assistant professor of theatre, and performance studies at the University of Maryland, College Park. She has served as a dramaturg for Arena Stage, Crossroads Theatre Company, Center Stage, The John F. Kennedy Center for the Performing Arts, African Continuum Theatre Company, Theater J, Black Women Playwright’s Group, and TheatreWorks. Her scholarly interests focus on race, sexuality, and gender in performance and she has published in The Cambridge Companion to African American Theatre; Review: The Journal of Dramaturgy; Theatre Topics; Women & Performance; Text and Performance Quarterly, and Callaloo. JUONE DARKO is a PhD student in the Department of African Studies at Howard University. Her dissertation research focuses on the convergence of race, ethnicity, culture, and identity among first and second generation Ghanaians. She is interested in identity and cultural connections in the African Diaspora. Her Bachelor's is from the University of Alabama at Birmingham and her Master's degree is in Social Work from the University of Georgia. JACQUELINE E. LAWTON was named one of 30 of the nation's leading black playwrights by Arena Stage’s American Voices New Play Institute. Her plays include Anna K; Blood-bound and Tongue-tied; Deep Belly Beautiful; The Hampton Years; Love Brothers Serenade (2013 semi-finalist for the Eugene O’Neill Theater Center’s National Playwrights Conference), Mad Breed and Our Man Beverly Snow. She has received commissions from Active Cultures Theater, Discovery Theater, National Portrait Gallery, National Museum of American History, Round House Theatre and Theater J. 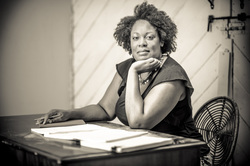 A member of Arena Stage's Playwright's Arena and the Dramatist Guild of America, Ms. Lawton resides in Washington, D.C.
JOCELYN PRINCE is Connectivity Director at Woolly Mammoth Theatre Company. She previously served as the Artistic Associate at The Public Theater in New York City where she produced the Public LAB Speaker Series and also coordinated the selection process and helped facilitate the 2010 Emerging Writers Group. She has served as dramaturg for such institutions as Juilliard School of Drama, Lookingglass Theatre Company, Court Theatre, Writers’ Theatre, eta Creative Arts Foundation, European Repertory Company, Congo Square Theatre Company, and Steppenwolf Theatre Company. Jocelyn is an Artistic Associate at Victory Gardens Theater in Chicago and a Co-Founding Artistic Director of NYC’s The New Black Fest. Her social justice and political work includes positions with the YWCA of Metropolitan Chicago and Obama for America. DR. SANDRA G. SHANNON is Professor of African American Literature in the Department of English at Howard University. She is a leading scholar on the works of playwright August Wilson with titles such as The Dramatic Vision of August Wilson, and August Wilson's Fences: A Reference Guide to her credit. She co-edited the essay collection August Wilson and Black Aesthetic and a forthcoming volume on Approaches to Teaching the Plays of August Wilson. Dr. Shannon is also the author of “An Intimate Look at Lynn Nottage,” which was published along with an in-depth interview of the playwright in Contemporary African American Women Playwrights. Her most recent publication, “Women Playwrights Who Cross Cultural Borders,” appears in the 2013 edition of The Cambridge Companion to African American Theatre, edited by Northwestern University theatre scholar Harvey Young. OTIS RAMSEY-ZÖE is an Associate Artistic Director at banished? productions, Lecturer of Theatre Arts at Howard University, Series Editor for NoPassport Press’s Dreaming the Americas Series, and freelance dramaturg. He has developed new works with such organizations as The Sundance Institute, Kennedy Center, Theatre J, Arena Stage and CENTERSTAGE and by such writers as Tim Acito, Colman Domingo, Kirsten Greenidge, Noah Haidle, Jacqueline E. Lawton and Tarell McCraney. Previously, he was Future ClassicsProgram Coordinator at The Classical Theatre of Harlem, Literary Manager and First Look Coordinator at CENTERSTAGE and an Allen Lee Hughes Senior Fellow at Arena Stage. KIA GRIFFITH is a senior in the Department of Communication Sciences and Disorders at Howard University. She is perusing a minor in Theatre Arts Administration because she hopes to return home to St. Croix, US Virgin Islands to open a theatre company that allows for creative expression amongst children with learning disabilities and speech and hearing impediments. 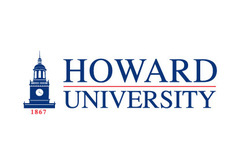 Post-graduation from Howard in December 2013, Kia anticipates working as a Speech-Language Pathology Assistant in the DC metropolitan area and will continue to serve as a volunteer usher at Woolly Mammoth Theatre Company.